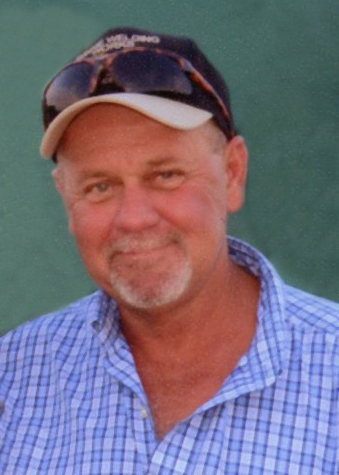 Michael “Mike” Gordon Gilpin, 52, of Winnie, died Saturday, February 3, 2019. He was born on September 24, 1966, in Winnie, to Peggie Ann Vincent Gilpin and Charles Bennett Gilpin. Mike was a loving father, husband, son, and friend. He had a passion for woodworking. He was a cabinet maker for over twenty-five years. Mike also enjoyed fishing, listening to Cajun Music, and dancing. He was an animal lover and cherished his two dogs, Jacob and Cooper. Survivors include his wife, Salena Gilpin of Winnie; parents, Peggie and Charles Gilpin of Winnie; sons, Charlie Gilpin and Blake Gilpin, both of Austin; daughter, Alexis Gilpin of Winnie; brother, Randy Gilpin and his wife, Liz, of Winnie; and nieces and nephews, Haley, Jace, and Rylee Gilpin and Meagan Herring. A gathering of Mike’s family and friends will be from 5:00 p.m. until 8:00 p.m., Wednesday February 6, 2019, at Broussard’s, 134 West Buccaneer Drive, Winnie. His funeral service will be 11:00 a.m., Thursday, February 7, 2019, at Broussard’s, Winnie, with his interment following at Fairview Cemetery, Winnie. Salena I am so sorry to hear about your loss. I wish you peace and Gods love to cover your family in your time of need. Your in my prayers. I was blessed to have him as a friend, so many happy memories with Mike. RIP Buddy, my prayers to his loved ones. He was a great person! Charles and Peggy, we were so sad to learn of the passing of Mike! We pray God will wrap his arms around all of the family thru this difficult time! I’m so saddened to learn of Mike’s passing. Thoughts and prayers for his family. The Gilpin’s were our neighbors for many years. Mr. and Mrs. Gilpin and Randy I am so sorry for your loss. You will be in my thoughts and prayers. May he rest in eternal peace. My Dad (Norris Trahan) wanted me to tell you Peggy, that even though he never met your son, he is very sorry for your loss, and will pray for you and your family. Salena we are sorry to hear of the passing of Mike. Our thoughts and prayers are with you and all the family during this difficult time. So sorry for your loss. Prayers for your family. Selena, so sorry to hear of Mike''s death. We are praying for you, and your family. . You will be in our prayers for along time. We know that God will be there with you and give you comfort and peace. Love from your cousin.. So sorry to here of Mike’s passing. We are sending prayers to all of the family at this difficult time. We were saddened to learn of Mike's passing. Our thoughts and prayers go out to all the loved ones he leaves behind. Selena, I'm so sorry to hear about Mike. Prayers for you and your kids and his parents. We were so sorry to hear of Mike's passing. Our thoughts and prayers are with all of you! May God surround you with his love and peace. Sweet Salena, my prayers are with you and your family. Peace be with you. If hugs. We are so sad to hear of Mike's passing. Please accept our sincere sympathy & prayers for your family!! Salena and Alexis you and your families are in our hearts and prayers. We pray that the love and peace of God will surround you during this time. Cling each day to the promises of God and the loving friends he places around you. My sincere condolences to all of the family and friends. May god wrap his loving arms around each and everyone of you during this difficult time. Our Sincere Condolences to the Gilpin Family! Rest Easy Mike! God Bless You All! Prayers and love for all the days ahead. We are so sorry for your loss. I am truly saddened to hear of Mike’s passing. I pray God’s peace and comfort surround all of his family and friends. I’m so sorry to hear of your loss! You are in my thoughts and prayers! Rest In Peace, Mike.our prayers go out to the family. Peggie and Charles, I am so sorry for your loss. You and your family are in my thoughts and prayers. I am so very sorry for your loss! My prayers are with you and your family at this time!